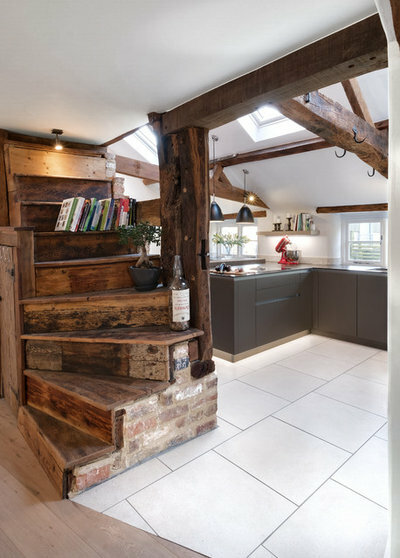 The creative vision of a good designer or builder can be invaluable when you want to make big changes to your kitchen. If you’re faced with an uninspiring layout, you might be surprised at how radically different it could look with a little imagination. 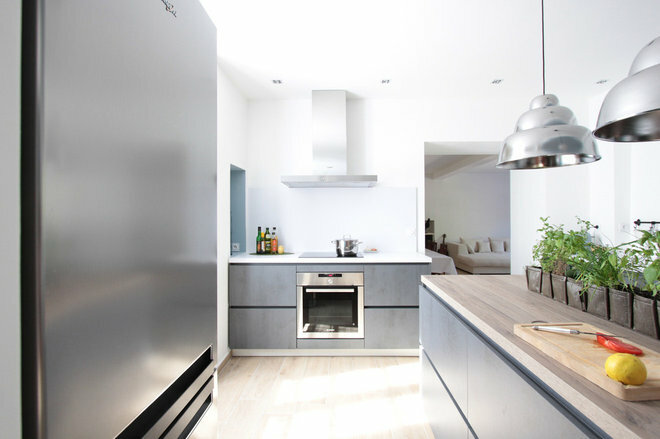 Check out these before and after photos of some of the most dramatic and creative kitchen transformations from Houzz, and enjoy some inspiration for your own space. 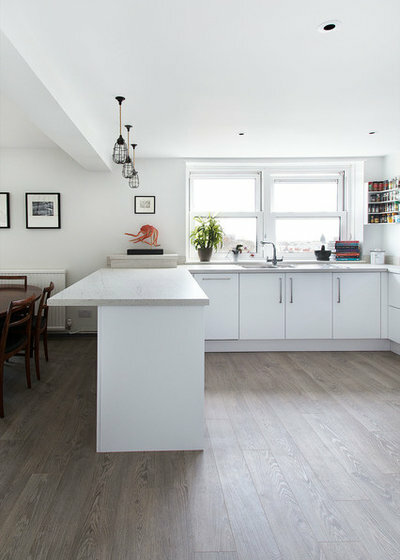 When Emily and Andrew Curthoys bought this period property in Aberdeen, Scotland, they were faced with a dark and dated kitchen that was far from inspiring.Undeterred, they called in the experts in the form of Andrew and Kate Brown from Brown + Brown Architects who totally transformed the space by reorganising the layout and upgrading the fittings and fixtures to achieve a cool, crisp Scandi-inspired look. The kitchen and dining area (pictured below) switched places during the redesign. “Andrew and Emily wanted a larger dining area and a smaller kitchen space,” say the architects. The couple enjoy having guests over, so creating a large, open-plan space to entertain was important to them. 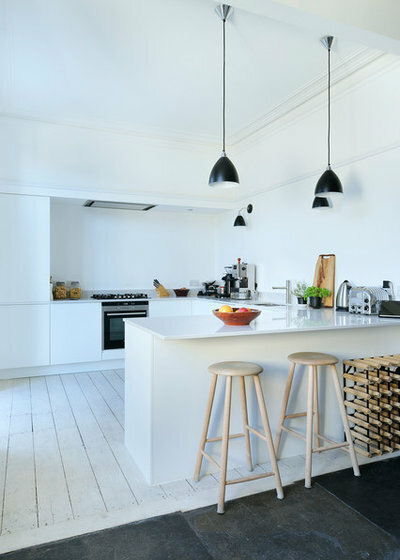 A sleek, modern kitchen in crisp white replaced the dark, dated units, and black accents were added for a chic touch. The architects describe the finished result as a blend of modern Scottish design and Scandinavian style. 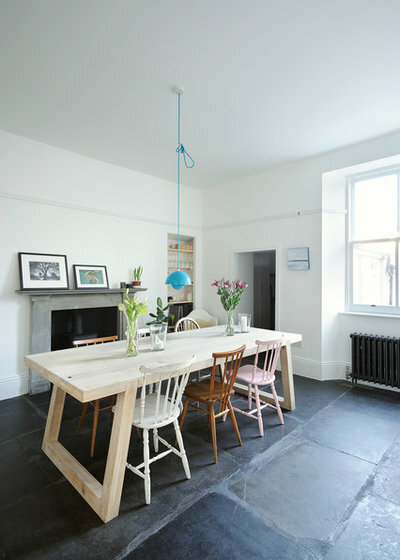 The dining area, which used to be the site of the kitchen, now has a beautiful original flagstone floor. “It was underneath four or five layers of linoleum,” say the architects. “It took quite a lot of work to strip that back.” The newly exposed stones were treated with an industrial sealer as this is one of the busiest rooms in the house. 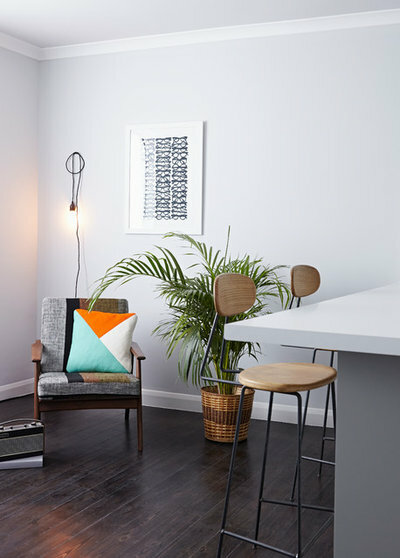 When Katy Stevenson Bretton of Katy SB Design was asked to transform this former community-housing apartment in London she started by radically altering the layout.The apartment originally had a large living room with a dining area at the back. 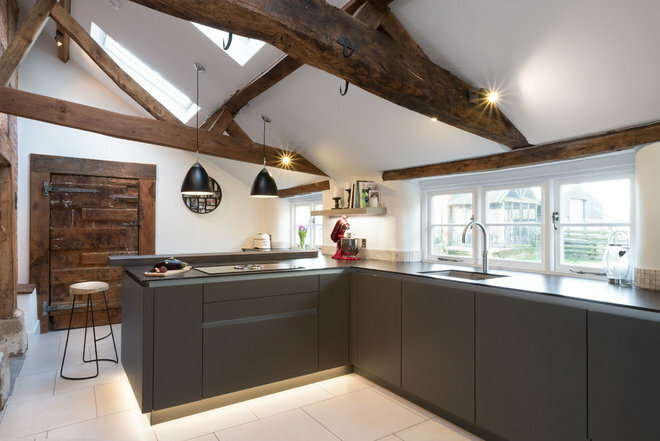 Stevenson Bretton decided to convert this into a combined kitchen/living space, then turned the old kitchen into a second bedroom. Simple, handleless units in a soft grey were chosen as they blend into the background, which is ideal in an open-plan living space. The tap and sink from the original kitchen were reused. “They were the only things we managed to recycle from the flat as it was before,” says Stevenson Bretton. 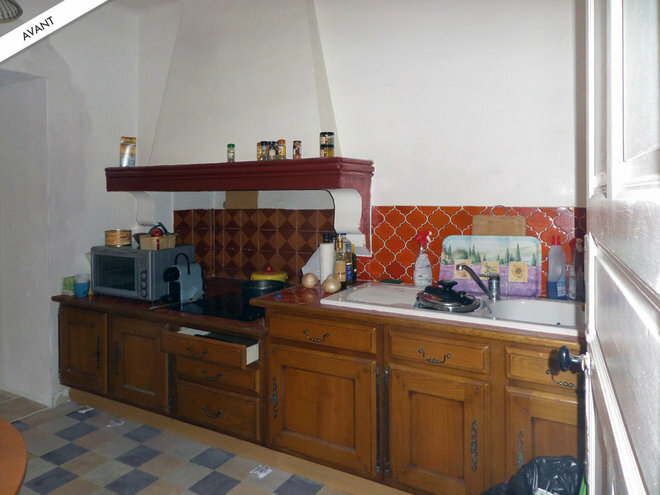 When the owners bought this property in Nîmes, France, it had been all but abandoned for several years prior.The original kitchen was dark and caught between the large, recently renovated living room and a dim hallway. Interior architect Anne-Astrid Chachignon of Maztri was called in to revamp the space. 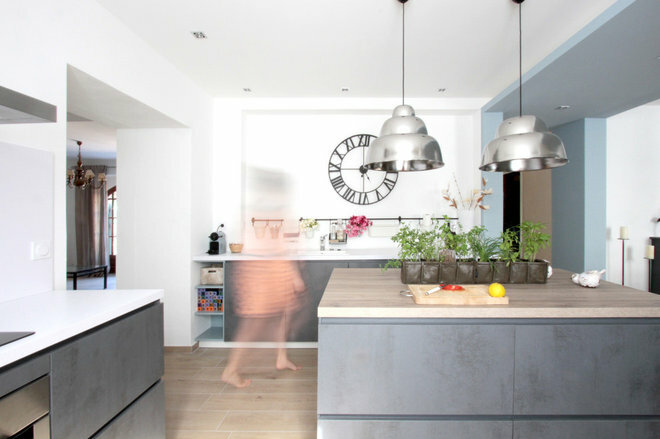 Chachignon started by knocking down walls to turn the old kitchen, hallway and living room into one big space. 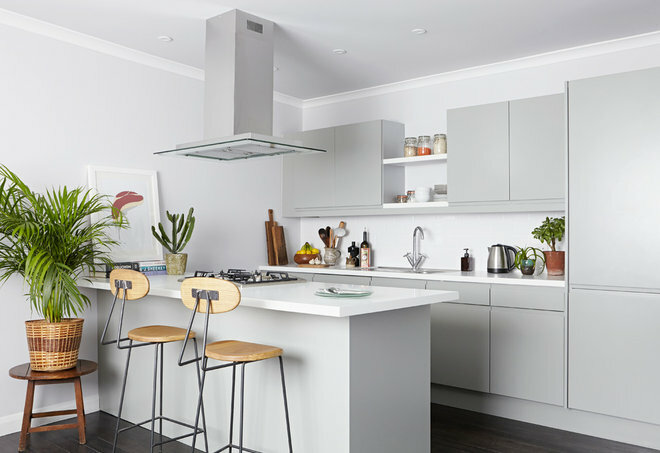 A crisp white, blue and grey colour scheme instantly brightened up the new room, and sleek cabinets and contemporary fittings made the new kitchen almost unrecognisable. Although this is an extreme makeover, it wasn’t a case of ‘no expense spared’. To keep costs down, Chachignon tried to keep some appliances in their original positions. “The sink wasn’t even, so we had to juggle the furniture around to integrate each piece into the space we’d chosen for it,” says Chachignon. 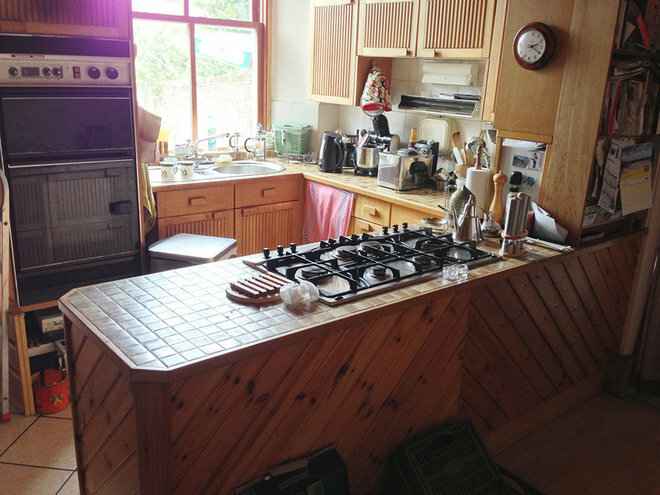 “For example, the benchtop isn’t a perfect rectangle.” But the result is an incredible transformation. 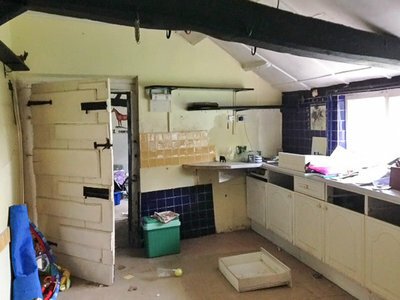 This heritage-listed farm building in Cheltenham, UK, was originally a series of interlinking rooms that included the old kitchen pictured here. The owners brought in Sarah Goldsmith of Contour to help them reimagine the space and navigate the challenges posed by an 18th-century building. The old kitchen was ripped out, doorways were taken down and so was a large wall, which created an opening that now leads to the new kitchen’s dining space. 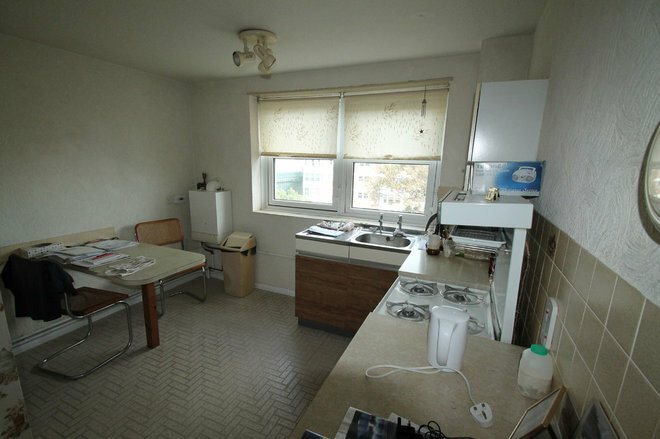 The kitchen is now open-plan with a light, airy feel. 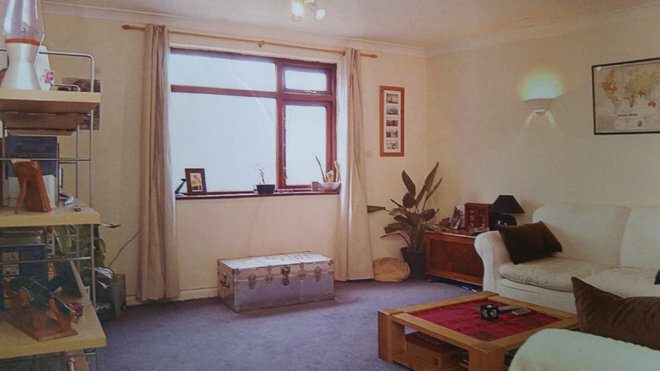 Before any cosmetic changes were implemented in the apartment, the main living space was knocked through to combine rooms and increase the space. “We removed two load-bearing walls,” says Rossiter. 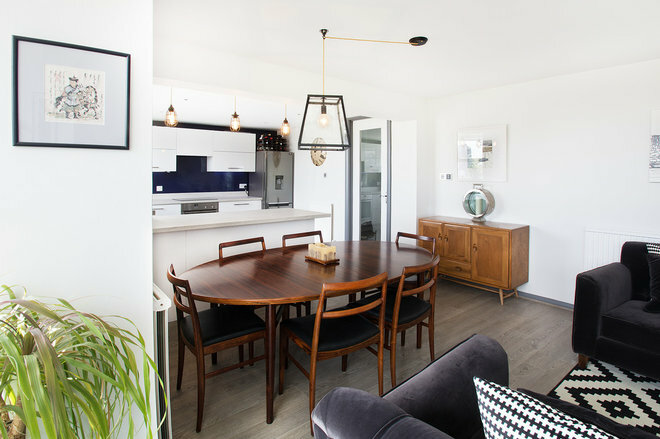 “Originally, there was a small lobby that led to the kitchen on one side and the living room on the other.” Now the kitchen is a modern, light-filled room that makes the most of every inch of space.